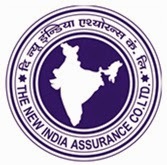 New India Assurance Company Ltd. has announced the schedule of interview for the recruitment exam of Administrative Officers (Scale-I) in 2015. The result of online exam was declared on 16.01.2015. The interview for NIACL AO 2015 exam will be started from the third week of February and continued till the last week of March, 2015. The list of shortlisted candidates for the interview and their interview venue, dates have been released as well. Check here for details. 0 comments for " Interview Schedule of NIACL AO 2015 Exam released "